First it was a media sensation. Then it became the New York Times bestseller and #1 international bestseller A Long Way Home. Now it’s Lion, the major motion picture starring Dev Patel, Nicole Kidman, and Rooney Mara—nominated for six Academy Awards! Born in Khandwa, Madhya Pradesh, India, Saroo Brierley lives in Hobart, Tasmania, where he manages a family business, Brierley Marine, with his father. 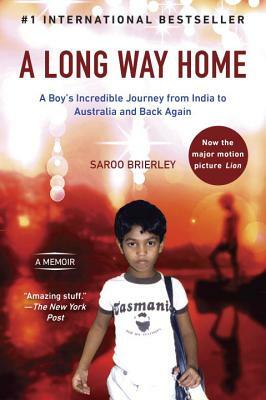 Saroo’s story has been published in several languages and is now the major motion picture Lion.